What are winters like on Sugar Mountain? While looking at a sprawling snow top mountain from a postcard is one thing, actually living in it is another. 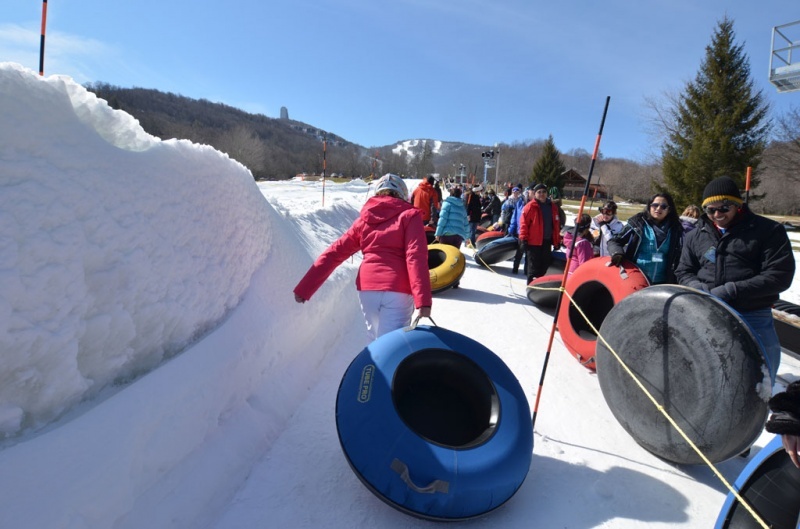 Sugar Mountain is an iconic and whimsical vacation destination, and home to one of the country’s most popular ski resorts. But the snow can cause some concerns for people not used to it. The slopes are well-trafficked, so you are never entirely out on your own. But there are definitely some wintry conditions you should be aware of before living up in the mountains for a vacation escape. 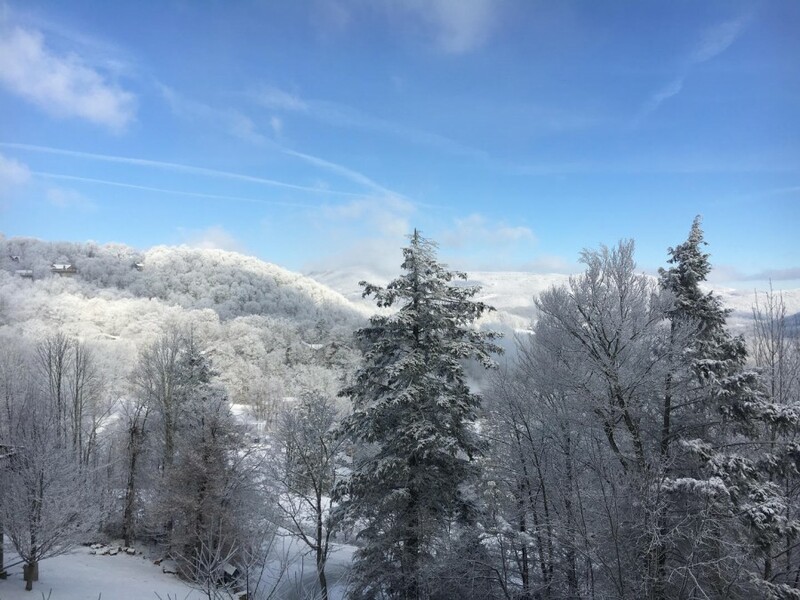 So what is a winter really like on Sugar Mountain? What are the General Snow Conditions? Sugar Mountain isn’t the dead-center of the Himalayas or the top of Mount Everest. 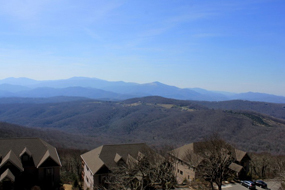 Sugar Mountain has year-round residents and the ski slopes are very popular. There’s definitely an infrastructure and security you can rely on if you need it. Even though the village is a safe and secure community, Sugar Mountain winter conditions can get tricky. Sugar mountain NC weather temperature will typically hover in the low 30’s for the majority of the winter, with substantial dips in January and February. Runs will often close down due to various conditions. Sugar Mountain Resort has about 21 runs and 8 ski lifts, and it isn’t uncommon to find a handful of either closed for the weekend. 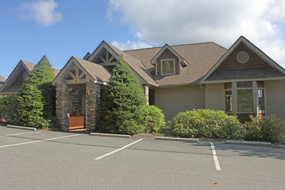 Overall, the resort has 115 skiable acres which must be continuously maintained for safety. What is the Sugar Mountain Average Snow Fall? The snow depths at the base are usually around 1 foot to 6 feet with some variations. The summit is a different story. A typical summit depth is around 30 feet. On the Snow.com reports an average summit depth of around 28 feet for 2018 and a max base depth of about 8 feet. Overall, Sugar Mountain receives about 42 inches of snowfall a year. During the winter, it is common to see about a foot every other week, but the snowfall is usually sporadic and non-intrusive. It is what many of the visitors are here for! You can compare the years of snowfall history on the official Sugar Mountain Resort website. How do you Drive Safely in the Snow? 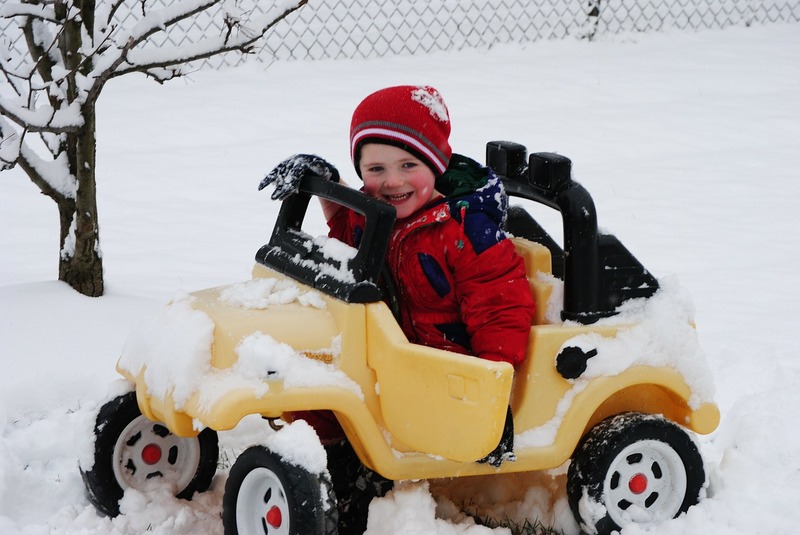 Driving safely in the snow requires a lot of patience and one key ingredient- snow tires. You may spot snow tire chain stations along many of the streets in and around Sugar Mountain. It isn’t uncommon for drivers to pull over and set their snow chains as they head into a precarious area. Follow all posted signage and slow down. If you are renting a vehicle, make sure to get information about snow tire needs. Due to the popularity of the ski slopes, there isn’t a lot that outright shutdowns for the winter season. While things may slow down due to the general winter blues, most restaurants remain open and busy. Some local shops may close down because the owners may vacation in warmer climates for the winter season. Is Transportation Hard to Get? What happens if you don’t have a vehicle or are too nervous to hit the roads? In other words, is getting around hard? 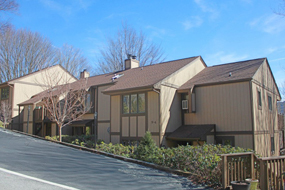 Sugar Mountain is well-known for being very accessible compared to other resort mountains. 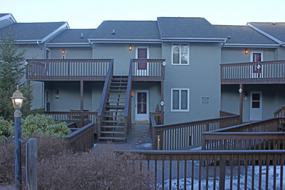 When you book a mountain cabin or condo on the slopes, it is just a short drive to the ski lifts or you can find vacation rentals within walking distance. That will mean less driving in the long run if your main objective is to come and enjoy the winter activities. The Village of Sugar Mountain Courtesy Shuttle will run the entire season. 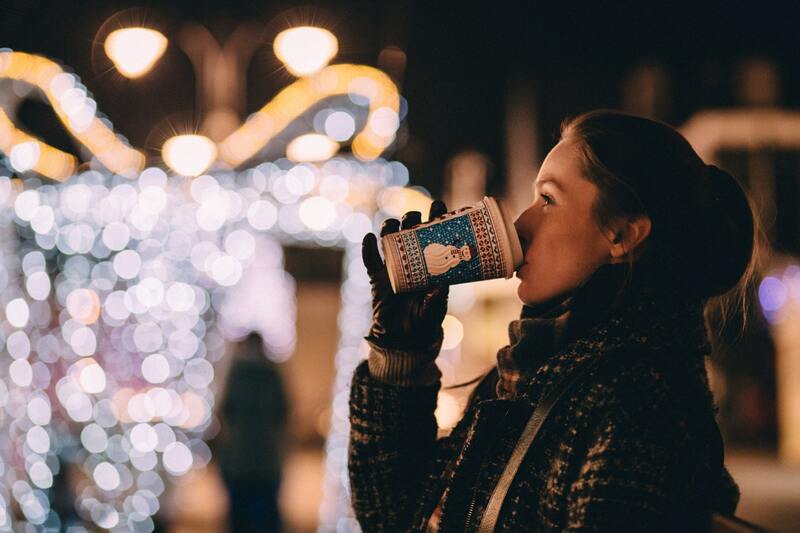 It will even run 7:30 a.m. to 11 p.m. the last week of December. The shuttle operates Friday to Saturday: Friday: 4:30pm – 11 p.m., Saturday: 7:30 a.m. – 11 p.m., Sunday: 7:30 a.m. – 4:30 p.m. The shuttle will be an invaluable resource for convenient travel. Cabs to and from the resorts are common and often available. This is Sugar Mountain- accessible and filled with fun. The village is ready for anything, and traversing either is far easier than you would expect. 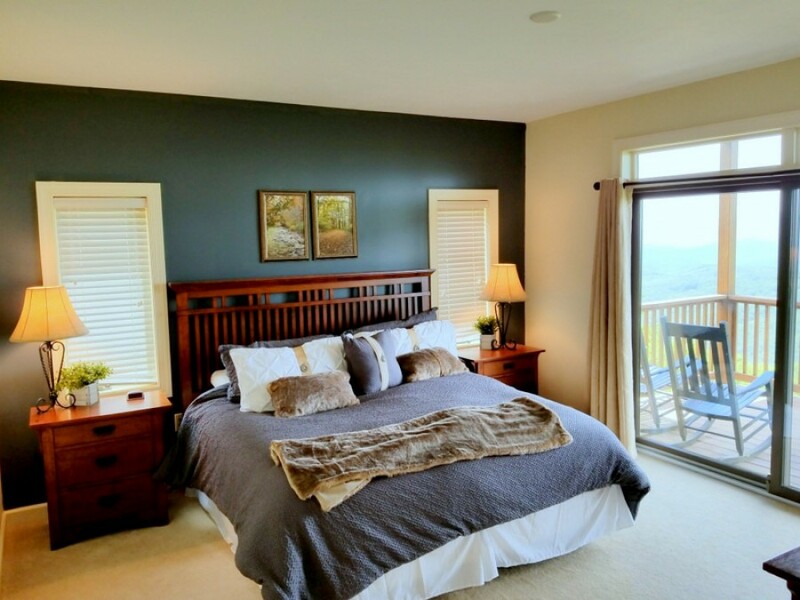 Come join us at one of our slopeside mountain cabin rentals for your winter getaway.